This entry was posted in Writing Advice and tagged author advice, Creative Process, discipline, Tips for Writers, Writing Advice, Writing Habits, Writing Process. Bookmark the permalink. This is so true. 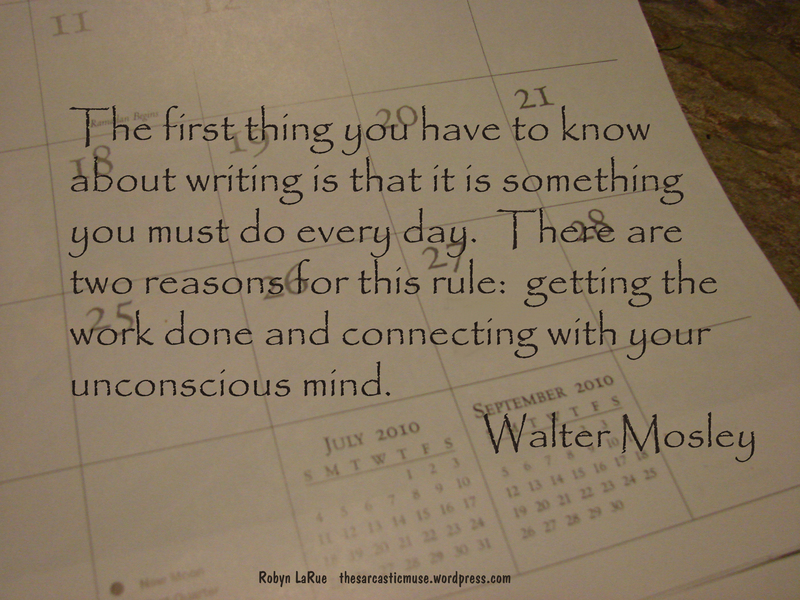 For me, there’s a third reason to write everyday…it keeps my mojo going. When I’ve got a good flow going with a story, I’m AFRAID to stop. Like I’ll somehow forget to write. I don’t think a day goes by anymore that I don’t write. Well, maybe this coming Friday, when I get a wisdom tooth pulled. BUT, I can still edit, :-), provided I’m not put under sedation, LOL. Yes, I am determined! Don’t worry, I’m going to still try!